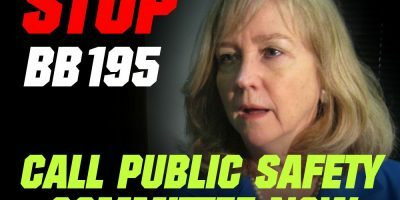 Pro-Gun Bill Passes Rules Committee! Thanks to your calls and emails, the House Rules Committee passed H.B. 1936 this afternoon by a vote of 8–3! I can’t tell you enough just how crucial your grassroots activism was in making this happen. After the massive gun control rallies that took place across Missouri last weekend, many lawmakers were getting nervous about fighting for the Second Amendment. Your constant pressure helped to ensure that the bill advanced. But we are far from finished, and that’s why I’m going to ask you to send another PRE-WRITTEN EMAIL to House leadership, urging them to schedule a vote in the full House! House Bill 1936 is our bill to end the deadly ‘Gun Free Zones’ that plague dozens of locations across our state. The recent shootings in Florida and Maryland — both taking place in so-called ‘Gun Free Zones’ –- underscore just how deadly these locations are, as mass killers always target them! So while you may think that passing this bill would be common sense and an easy task in Jeff City, that’s not the case. In fact, Michael Bloomberg and his bought-and-paid-for activists are proving to be a powerful force in the Capitol, and they were there in force again today trying to stop us! 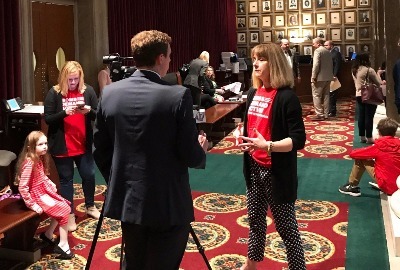 The media has been working with the gun-grabbers the entire time, flooding Missouri airwaves with their spin, trying to sway the legislature to kill this bill. And now that this bill has passed the final House committee hurdle, I expect that Bloomberg’s forces will be ramping up their pressure more than ever! Gun owners must do the same. That’s why I hope you’ll take a moment to contact the members of the House leadership team right away, urging them to schedule a full House vote on H.B. 1936 right away! To send all three of them our PRE-WRITTEN EMAIL at one time, simply click here or on the button below! The legislative timetable is moving quickly, and we can’t afford to lose much time with the session adjourning in just over six weeks! And I really hope that you’ll make a special contribution to the Missouri Firearms Coalition to help us mobilize as many gun owners as possible! $100, $50, $25 — whatever you can do — I only hope that you will act fast! And, if you are not yet a member, become one today! P.S. Earlier today, the House Rules Committee advanced H.B. 1936 through the committee by a vote of 8-3! But Bloomberg and his allies are working overtime to stop us, and their efforts will only increase now that we’ve passed the final House committee! Please send our PRE-WRITTEN EMAIL to the House Leadership team, urging them to put H.B. 1936 on the Floor for a full House vote right away! And if you are not a member of the Missouri Firearms Coalition, JOIN NOW! Gun Bill Hearing Set for TOMORROW!